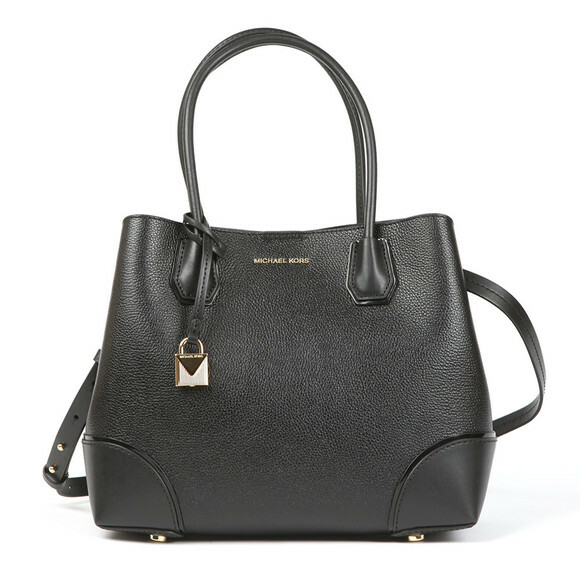 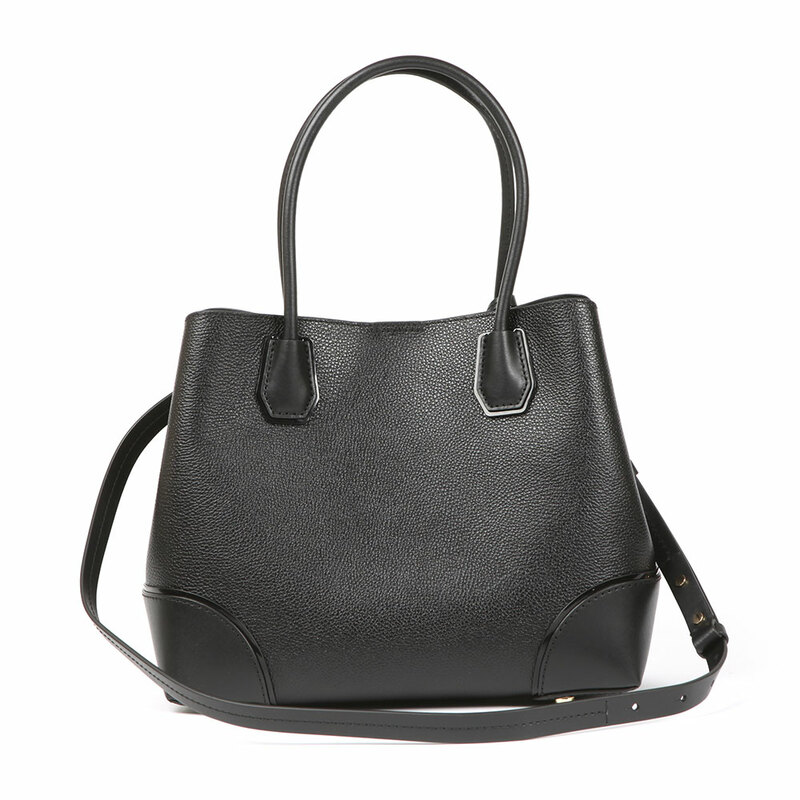 Michael Kors Mercer Gallery Centre Zip Tote in 'black' has been crafted from a pebble textured leather and features twin handles and a long, detachable shoulder strap for more casual use. Large enough for every-day use, the black Michael Kors bag is finished with a gold padlock charm and raised lettering to the front. 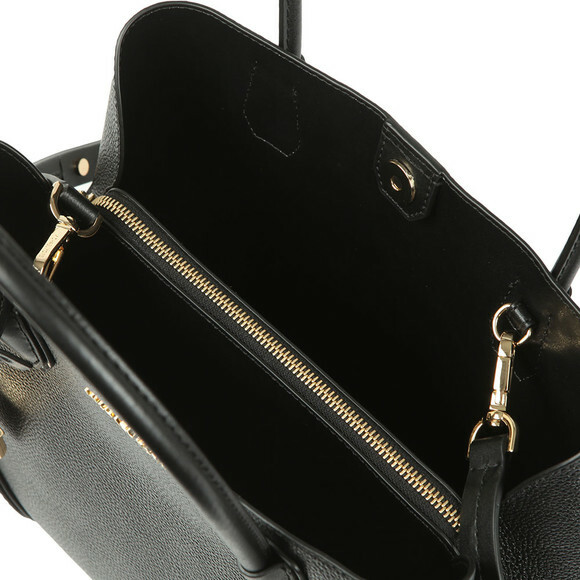 Three compartments feature to the interior and are secured by a press stud closure.